I give this album a 8/10. The reason is because I love how they’re expanding their genre and not just doing ballads. And their collabs with other artists were really good. 02. Even If I die, I can’t let you go – I loveeee this song, the whole mv teaser was not enough ): I love the chorus so much and all their vocals mesmorize me. I love this song already. And I’m pretty sure they’re promoting this song. 03. I’m sorry I can’t laugh for you – The title of the song is so confusing lol. The song sounds like nothing I would imagine it to be though. 04. I love you (feat Baek Chan, Joo Hee (8eight)) – I’m excited they were doing it with 8eight :) i like the upbeatness of the whole thing. The rapper is so amazingggg ! 05. 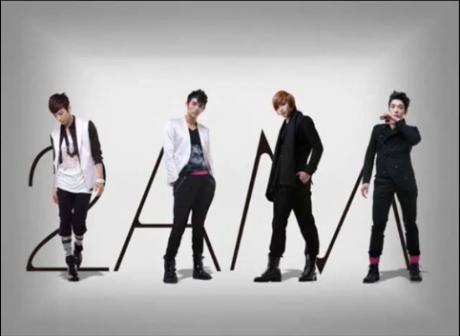 To her (feat Chansung (2PM)) – I’m glad they’re including Chansung, :) We don’t get a lot of things with him. It’s been Taec mostly. I love the beats in the mv. And whoever started the song, great vocals :) they use a bit of auto tune..but I like it. Chansung gets to rap a lot, whoo hoo.